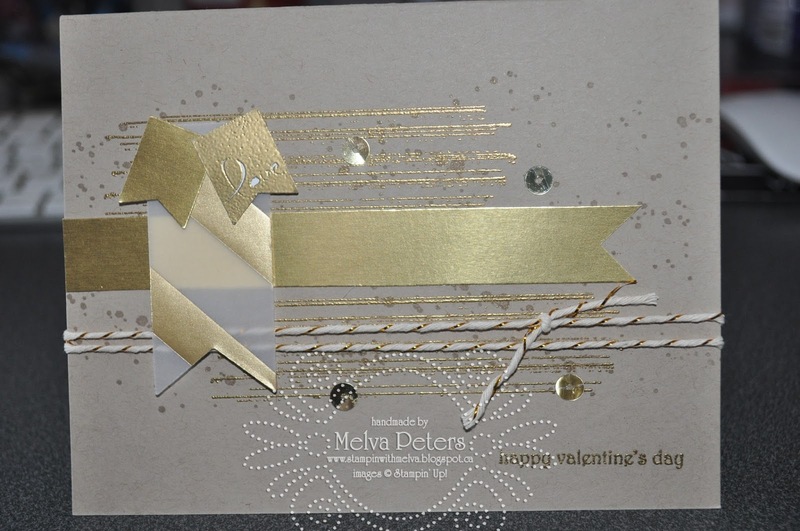 Stamp with Melva: Happy Valentine's Day! I did however buy him a little chocolate treat - I saw this as I came through Denver Airport on a recent trip and I know he loves chocolate. 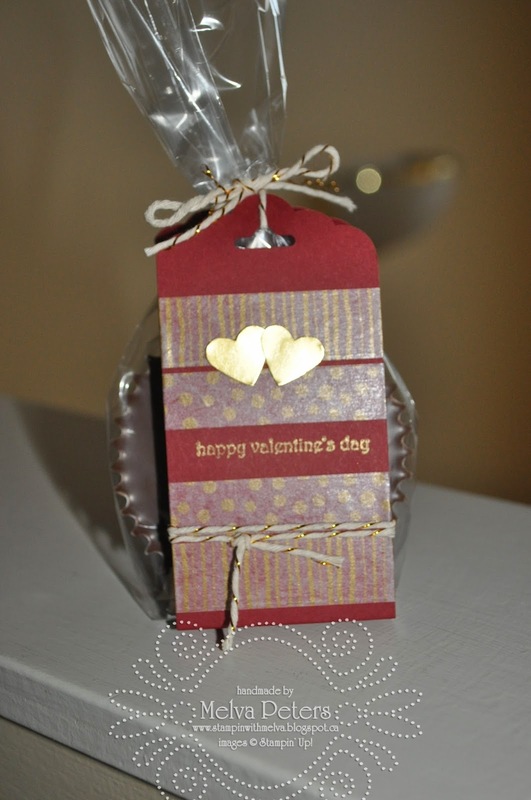 The holder is made with the new Scalloped Top Punch from Stampin' Up!. I love this punch. I'll share a card I made using this punch to create the enclosure in my next post. Thanks to my friend Ginny Duncan who inspired this creation. Here's the chocolate holder. I'm also in love with the new washi tape in the Occasions Catalogue - Happy Watercolor! I've shared the card I made on a previous blog, but here it is again.